“Slovakia still lacks a suitable environment for socially beneficial projects and start-up businesses. However, thanks to the cooperation with the Telekom Endowment Fund, we are able to remedy this situation. It is therefore necessary to systematically develop and long-term support individual projects and start-ups. The more of them are up and running, the more positive impact it will have on society, “says Branislav Šmidt, Co-Founder and Director of Impact HUB Bratislava. With the strategical support of the Telekom Endowment fund, since 2016 Impact HUB Bratislava implements a number of programs and activities. One of those is the Business Clinic II. Cycle – free consultations pertaining to business. It lent support to 29 projects. Aside from that it organized a series of workshops concentrating on entrepreneurship and innovation. It co-organized the Social Impact Award for youth projects, with 38 ideas and projects registered. 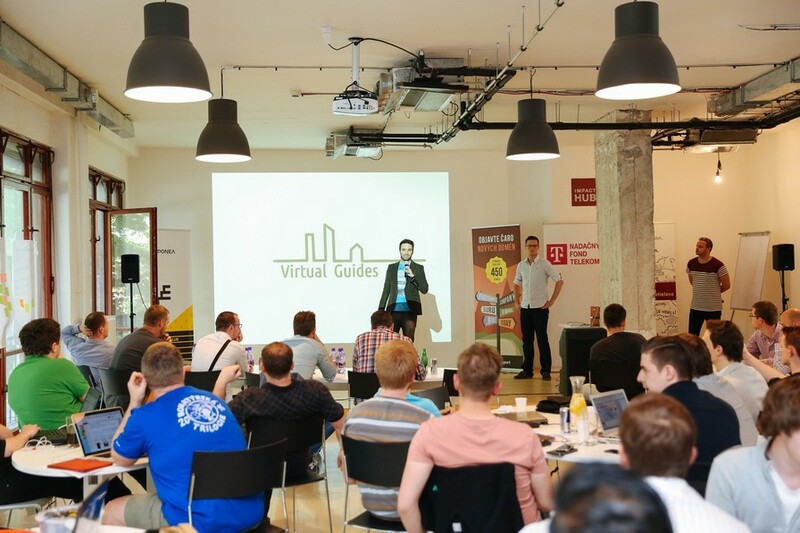 This year they also successfully organized the first year of an innovative hackathon called Innovation Hack – an event where participants tried to solve 4 challenges for a telecommunications operator based in Slovakia. More than 50 participants from 5 countries took part. Within 48 hours 10 final ideas and prototypes were created. Thanks to the cooperation with the Telekom Endowment Fund a public awareness campaign for the support of social entrepreneurship – Social business was launched. NGO Target is a current ongoing program, in which selected innovative non-profit organizations have a chance of obtaining professional help in the form of targeted mentoring, expert consultations or ensuring specific services and products for their sustainability. The most complex program to be launched is the Impact Incubator. As part of a three-month project, selected participants will receive strategic mentoring and participate in workshops in the field of business.This included two crucial topics: Social Business (Social Entrepreneurship) and Technology for Good (Beneficial Technology). Of more than 85 registered projects 13 made it to the final and completed the entire program. The Social Business category was won by the United Colors project, which aims to provide employment, regardless of skin colour. In the Tech for Good category the biggest impression was made by COrvus, a start-up designed to help the blind and visually impaired. A special jury prize was awarded to the bike-sharing platform Green Bicycle. Two of the incubator’s projects – Corvus and Karmadilo – were able to make it to the finals of the Startup Awards competition in the Society category. Even after the end of the program a targeted cooperation continues with these projects. In the first half of 2017 they are planning on bringing the third instalment of the successful incubator. “Impact Hub in Bratislava focuses on providing support to new business solutions. It helps them grow, progress, build capacity and networks them. However, it is important that it gives these activities a social dimension. Socially responsible business and the people who create it – that’s what this country needs. ” added Juraj Récky, the program manager of the Telekom Endowment fund, for the Pontis Foundation. For more information on the Impact HUB international platform, individual activities, the formats and options of signing up, visit both http://impacthub.sk and www.socialbusiness.sk.